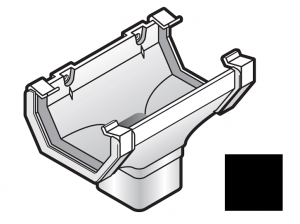 114mm Square Gutter Running Outlet. 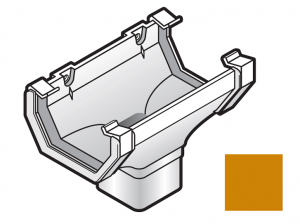 This FloPlast plastic guttering fitting is part of a high quality and easy to install rainwater system. 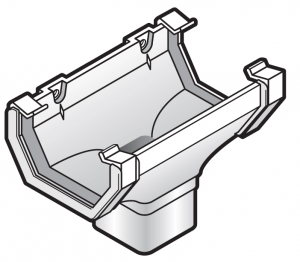 This fitting suits plastic guttering measuring 114mm across the open top and 60mm at the deepest point. 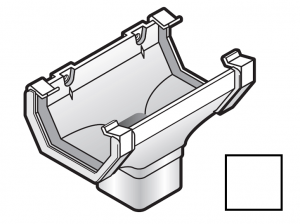 This with an internal stop end works better than the stopend outlet in my opinion, allows the pipe to be a little further in from the edge of the property.